Paris Weekender - Paris by Scooter! NEW! See this short video Xavier just made of scooting through Paris!! 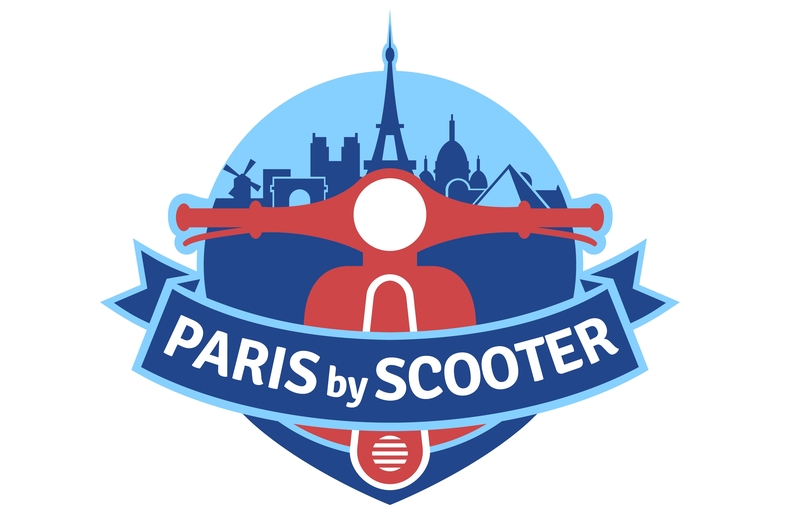 Recently, I spoke with Xavier of Paris by Scooter about his new scooter tour and rental venture. And Xavier has been kind enough to offer reader of Paris Weekender 10% off any Vespa Tours reserved before the end of 2014! Thank you, Xavier! Could you describe your company for us, Paris by Scooter? Paris By Scooter is a rental and tours company based in Paris. The company was created in 2011 in order to offer a new way to visit Paris. Tell us about the sightseeing tours by Vespa—what are some of the options? Are they in French or English? 4 sightseeing tours by Vespa are offered, all tours are private which means that we can fully customize our tours. We can stop and enter in any monuments, parks, buildings, etc.… without waiting an other client. 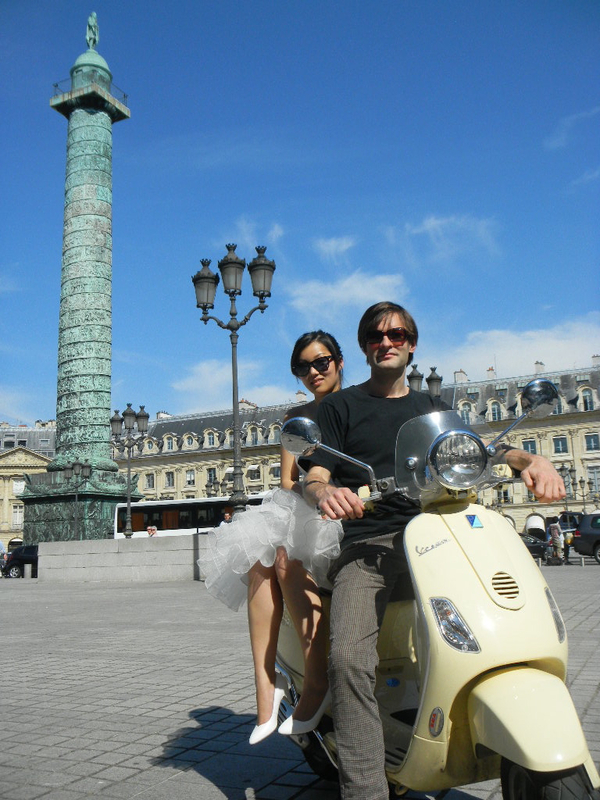 We offer 3 tours by Vespa for visiting Paris and one for traveling from Paris to Versailles. Versailles is 15km from the center of Paris, which makes the trip really enjoyable. For Paris, we suggest that someone who is staying just a few days (or even hours–I already had some clients who came especially for my tours!) choose our “Paris Must See” Tour. It will give you a great sense of the city in just a few hours–no better way to capture a vision of the City and to get the atmosphere and feeling of Paris. 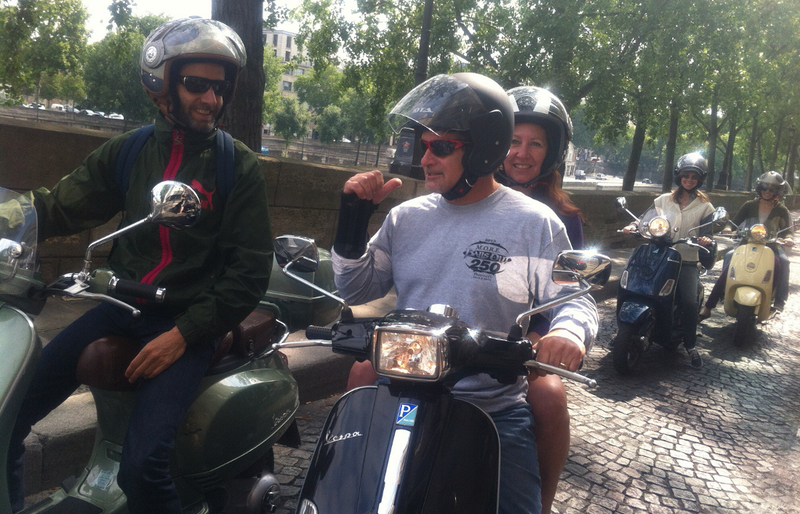 All tours by Vespa are in English, with French guide! Who should consider renting a scooter and touring on their own? First of all, experience driving a scooter or motorbike is required. Moreover, as you are in a foreign country it is important to be be self-confident and relax! But someone with a bit of experience will enjoy his or her discovery of the city on two wheels. Are there any restrictions on who can rent a scooter? YES, of course. The basic requirement is to be at least 18 years old and have a valid driver’s licence to drive a 50cc. For a 125cc, you need to be 21+ with a motor bike licence. A deposit is required (a hold of 1200€ by credit card). How far in advance must one book the tours or rentals? To make sure there is availability, at least 2 weeks. But you can always send us an email or give us a call at the last minute. And we’ll see! Could you give us a sense of the costs? The vespa scooter rental start at 69€. Tours start at 150€. I was a civil engineer for several years with a multinational company building apartments and offices in Paris, Marseille and Reunion (a French island in the Indian Ocean), and then I came back to Paris with the desire to offer a service to give happiness to people–I had witnessed too much fighting between architects, developers, sub-contracters and workers! How did you get the idea to start this company? In Italy, during a one month vacation! Vespa and Italy! What could be better? Did you encounter any difficulties in starting your own business in France? I cannot say that the French public administration helps you to develop a business. I would even say that public administration was more of a brake more than a help! In France it is much easier (and better viewed) to be a nice employee with a regular salary than to be an entrepreneur in France. Hopefully, I will continue to like entrepreneurship. And even if my background did not help me to build a business, I have been enjoying learning web design, WordPress, marketing… and building something on my own. I love being able to do things on my own and as I wish. Marketing. And also having the chance to see Paris every day. I learned to re-discover Paris through my business. The French don’t appreciate Paris and all her value. There are so many things to see when you live in Paris! What are your goals for future projects for your business? To offer more services to my clients. I am currently working on a new project about Versailles. Do you have a favorite neighborhood in Paris for exploring by scooter? Not really. I like many neighborhoods and our Vespa scooters give us the chance to move easily and quickly between all the different districts. But I like the gardens. Parc Monceau and Jardin du Luxembourg are my favorites. We usually stop at one of them. The Luxembourg is a great park where there are so many activities for kids as well. My kids love it. I recommend that you to see a puppet show in Luxembourg! The best in Paris. And this park is 2 minutes away from the Latin Quarter: it makes me feel like when I was student there 10 years ago! Do you have a favorite “off-the-beaten-track” Paris area site that can be accessed by scooter? I don’t really like to talk about the “off-the-beaten-path”. Strangely, it makes me think of a commercial spot. If you want to avoid the touristy part of Paris, you can visit the 18th district. Not Montmartre of course but the 18th near Clignancourt. It could give you an idea of the real life that most of the Parisians live in the suburbs. But I already lived this life when I was a kid and definitely think that if possible, better to live something else. Otherwise, you have some very good and very pleasant restaurants in the west of Paris, in the Bois de Boulogne. One of them is even on an island with a view of the Eiffel Tower. Our Vespa scooters are perfect for reaching this area–there is no public transport there! Are you ever scared of riding a scooter in Paris? Which is the worst area of Paris for scooters? Never scared. You just need to open your eyes and be self-confident. For my clients, the Arc de Triomphe is impressive. I see how they feel and depending on their behavior, I decide to go around the rotary or not. But each time they go around this rotary, I see their big smile on their face! In just one sentence, why should someone sign up for a scooter tour with you?